Well, it took too long to solve this problem. 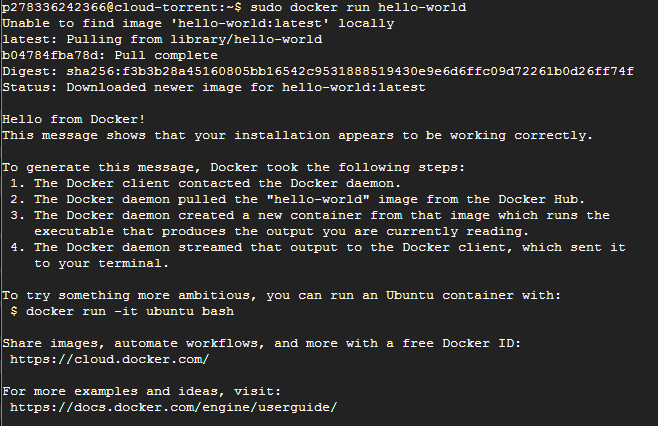 I don’t know much about Docker and Linux. And i searched the whole internet for this solution for almost half a year. Today 25 June 2017 i successfully solved the issue myself. here is the solution for you. How to Create the instance required for this software? According to me only. (WORKS PERFECTLY) You can try other ways too. Create a account at Google Cloud Console if you don’t have one. Select Core and RAM limits as your requirement. 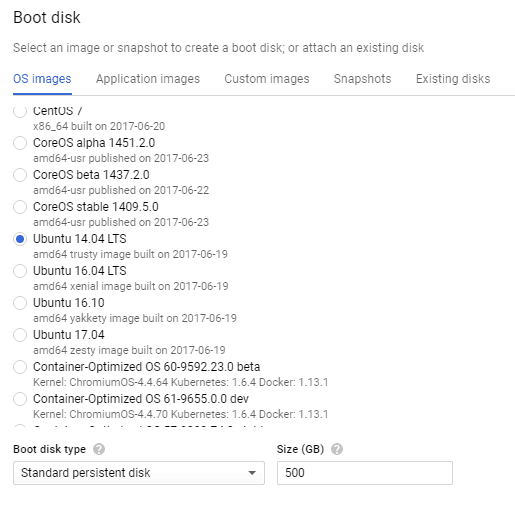 In Boot Disk option select Ubuntu 14.04 LTS Trusty. Allow full access and http as well as https. The window opens for SSH Command Line. Copy and paste following code lines. It may take some minutes to complete. Keep Patience. This last line will run a Hello World App like this. Now run the final command to install cloud-torrent. This command may not work in AWS if user is not sudo so use this command to make user superuser and restart the terminal again. Replace $USER with username of user. Open the ip address given at google instances you have created. Remove https from the ip address.